Over the weekend ... 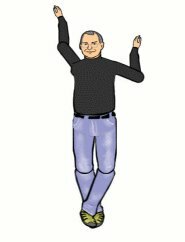 The Steve Jobs Jumping Jack iTunes Visual Plugin was released. Download here and then go to Library / iTunes / plugins and drop it in the plugins folder ... restart iTunes and watch the visual. Nothing short of hilarious.